Expand your horizons! The Cor Unum Vision Vase S White is small vase with a tapered shape and unique hole through the middle. You can literally see through the vase! The Vision vase by Charlotte Landsheer is therefore especially suitable for single flowers such as a Gerbera and Rose. Very decorative, especially when combined with different sized and colored Cor Unum Vision vases. The Cor Unum Vision Vase S White is a true eye-catcher in your interior. The Vision vase by designer Charlotte Landsheer is both stylish and quirky. The small, tapered shape and the hole in the middle of the vase enhance the subtle view of the world. By combining this vase with the larger, contrasting Vision vases, you create a playful effect. 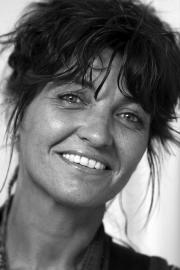 Designer Charlotte Landsheer is a supervisor at studio Cor Unum Ceramics in Den Bosch. The name Cor Unum stands for ‘one of heart’; everyone’s talents are appreciated and utilized. To underline this, the designer Vision vases are made in small amounts by people with a certain distance from the labor market. The Cor Unum Vision ceramic vase S is available in white. The vase’s most eye-catching element is the hole in the middle of the vase. You can literally see through the vase. Because of its tapered shape and the hole through the middle, this vase is especially suitable for single flowers or twigs. Cor Unum Vision vases are stylish and playful at the same time. Thanks to the stylish shape and sober colors, the Vision vase by Cor Unum is suitable for any interior. With or without flowers! 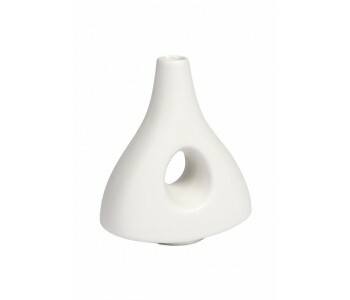 The Vision Vase Small White by Cor Unum is a small vase with a tapered shape and is 14 cm high and 13 cm wide. The Vision vases are also available in larger sizes of 40 cm high and 13 cm wide. 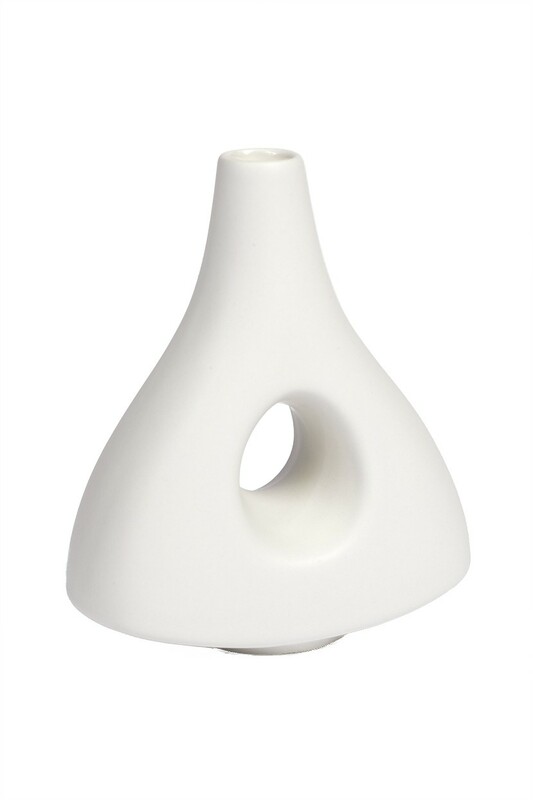 This ceramic designer vase is available in white or black. A true style icon!